Mr Adams Oshiomole,the All Progressives Congress (APC) National Chairman has assured that the party would win the forthcoming general election in a free, fair, and transparent manner. 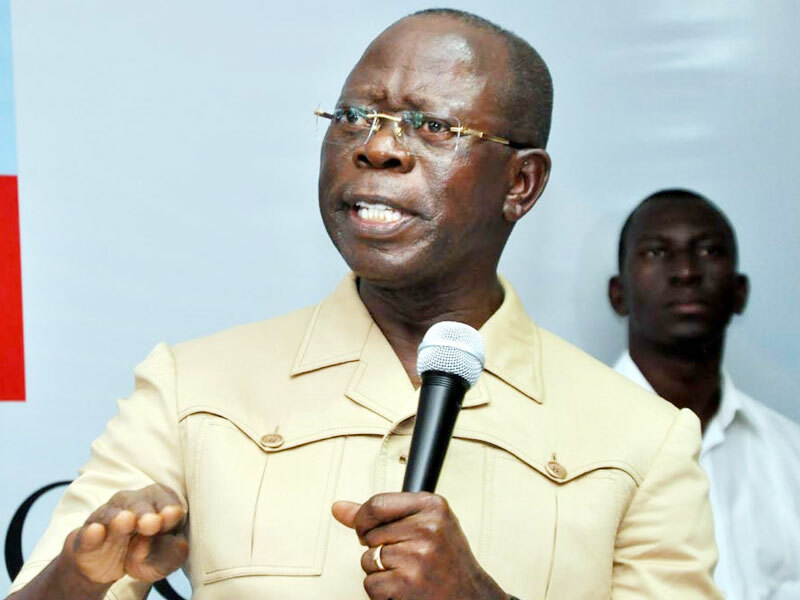 According to a statement issued by Malam Lanre Issa-Onilu,the APC National Publicity Secretary, Oshiomhole gave the assurance at a meeting convened by the party’s National Working Committee (NWC) in Abuja. Issa-Onilu said the special meeting was necessary to review and deliberate on the party’s preparation and general issues ahead of the general election scheduled to commence on Feb. 16. He added that the meeting which was presided over by Oshiomhole, was attended by the party’s state chairmen, secretaries and governorship candidates from across the federation. “The APC will win the election in a free and fair manner as against the practice in the past when the Peoples Democratic Party (PDP) was in charge. He said the PDP administration had always stole people’s mandate by manipulating the electoral process and state institutions to win elections. Oshiomhole identified the state executives represented at the meeting by their respective chairmen and secretaries as important grassroots base that would work and ensure the party’s victory in the Presidential, Governorship, National and State Houses of Assembly Election. He hailed the huge turnout of party supporters in the presidential campaign rallies held so far, and urged the party’s state executives to work cordially with state governors and stakeholders to ensure victory for all APC candidates. Oshiomhole while cautioning against complacency, said the party’s victory in the coming election was assured judging by the continued support of the electorate and the unprecedented achievements of the President Muhammadu Buhari led administration. He,however, urged APC members and leaders not to be distracted by the daily falsehood and propaganda by the opposition PDP,saying that PDP’s strategy was a fallout of its infamous Dubai meeting.